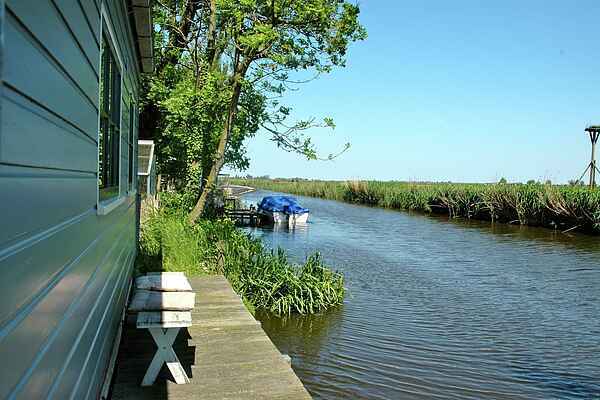 This cosy accommodation at the water's edge with a terrace and its own dock is located in picturesque Durgerdam, 10 km from the centre of Amsterdam. This location is perfect for enjoying both rural and urban life. Peace, space and lovely natural surroundings in a protected bird sanctuary with water, sheep, horses and rare birds. In the summer you can hire an electric "whisper" boat, or sail on the nearby IJsselmeer. For lovers of culture, shopping and an upbeat nightlife, everything is at hand. The centre of Amsterdam is within easy reach by bike, bus or car. The surroundings of Durgerdam offer plenty of lovely cycle tours. Visit the villages of Marken, Volendam or Broek in Waterland, all located within a 20 km radius.